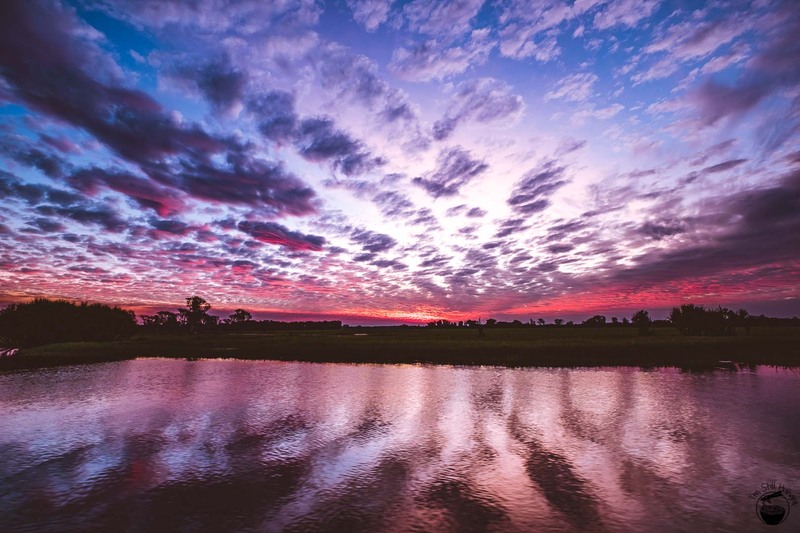 The Australian outback – rugged mountains, knotty rivers, colossal floodplains, lush rainforest, and flora & fauna of all stripes, shapes, & colours; the ‘essence of Australia’ accounts for over 2/3 of this great south land. 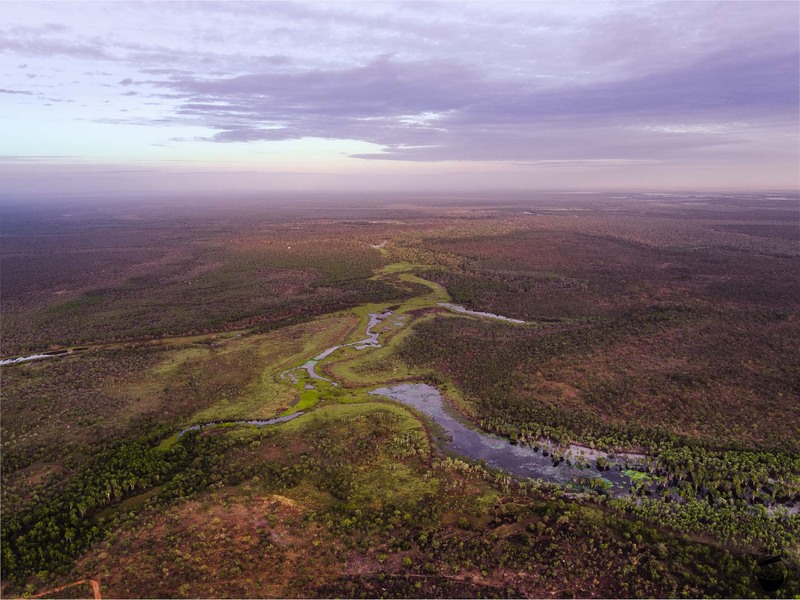 A place full of wonder, natural beauty, indigenous history and yes – unforgiving to those that underestimate it – a traveler who hasn’t visited the outback has not truly visited the metaphorical and literal heart of one of the world’s most remote countries. 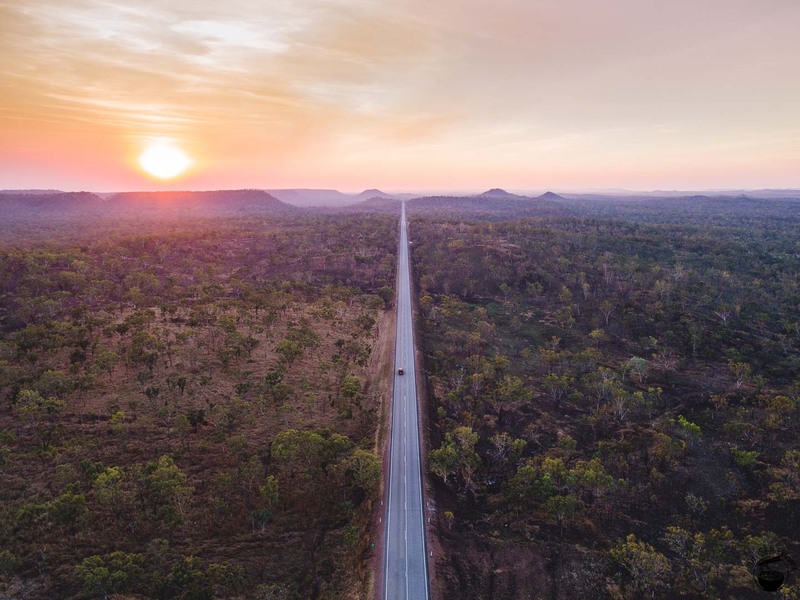 We spent five days in Australia’s Northern Territory (NT), home to a large swathe of quintessential bush country, these are our stories *DUN DUN*. Before we even get into it, TRIP TEASER VIDEO: Watch in as high a resolution as you can! 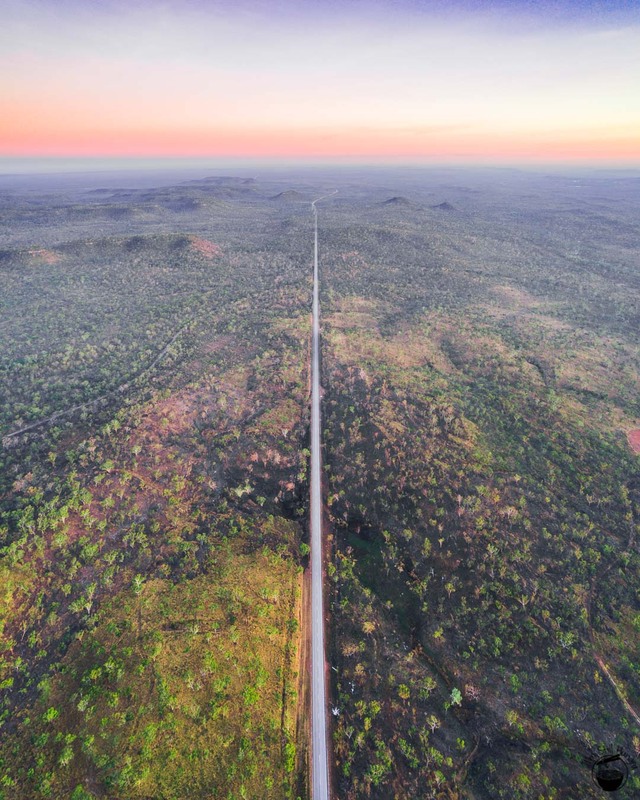 There are two main ways to get to the Northern Territory’s outback. One is to fly to Darwin (ideal for exploring the northern part of NT – this trip), and the other is to fly to Uluru (or Alice Springs). The latter is only recommended if you want to visit Australia’s iconic rock. 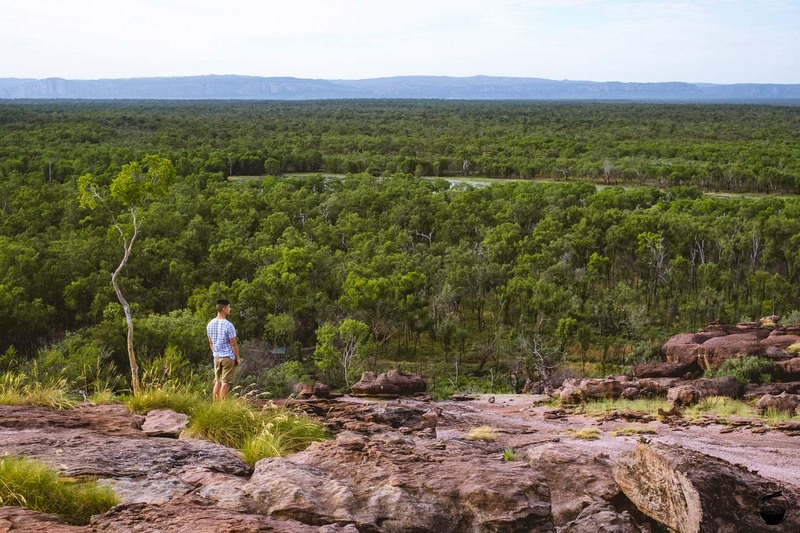 I’ve actually been to Uluru, but this post is all about my latest trip to the northern part of the Northern Territory. The flight to Darwin from Sydney took around 4.5 hours, making an ‘extra long weekend’-style trip to the NT from Sydney highly doable. 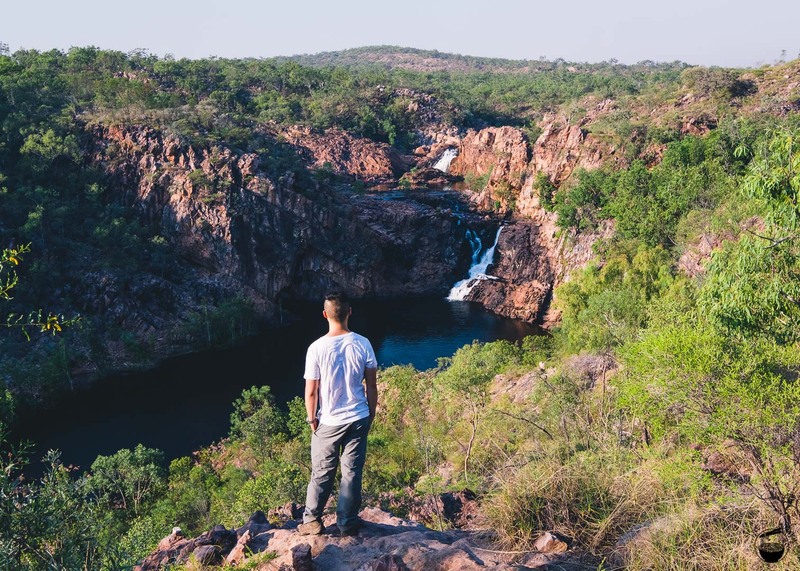 ANYWAY, our primary points of interest were three major national parks – Kakadu, Nitmiluk and Litchfield. 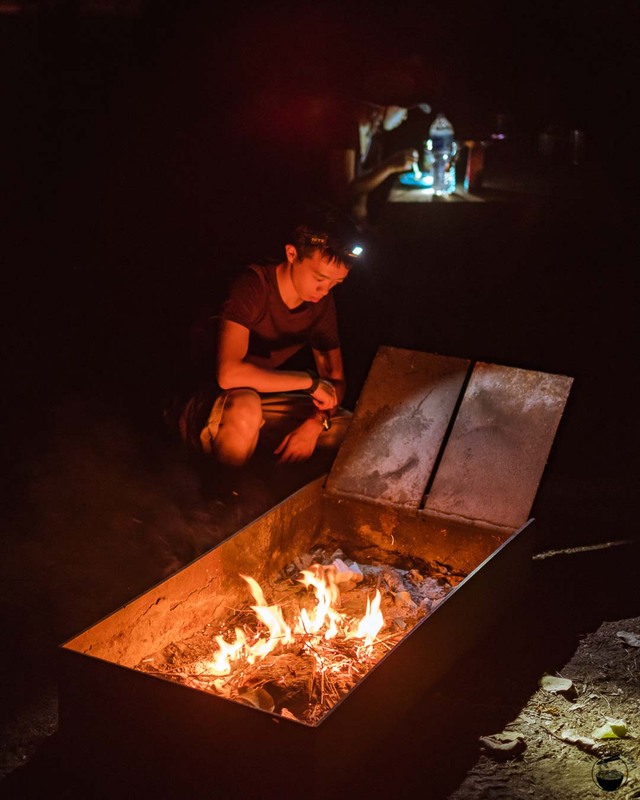 I’m not even going to pretend that five days was enough for even just one, let alone all three of them, but if you’re willing to do a lot of hiking and make compromises on accommodation & food (more on that in just a bit), you’d be surprised at how much you can see. 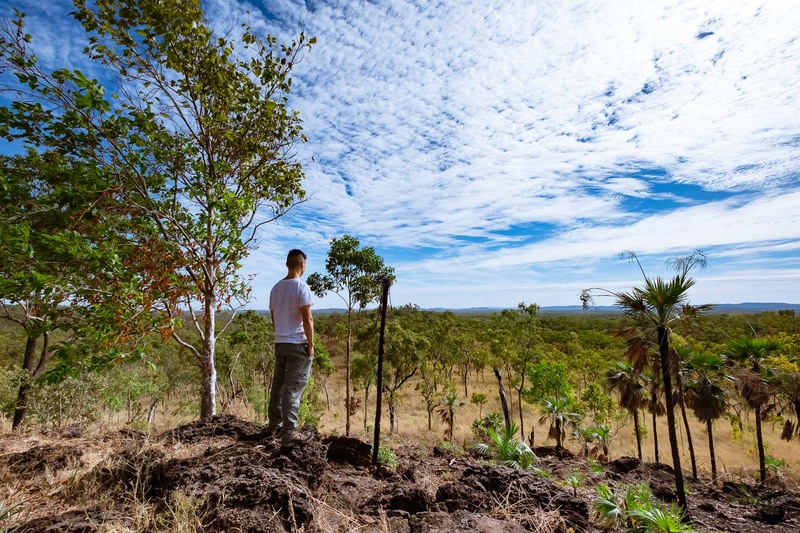 Much of Northern Territory’s national parks (not counting Uluru which is far closer to Australia’s centre) are close to the tropics, which means there are really only two seasons: wet and dry. During wet season (Nov-Apr) temperatures can climb into the high-40s (Celsius), meaning only souls far braver than me need apply. We went during dry season which was far more tolerable, with high-20s and low 30s being the average temperature across the day. At night? A rather chilly 8-15 degrees. 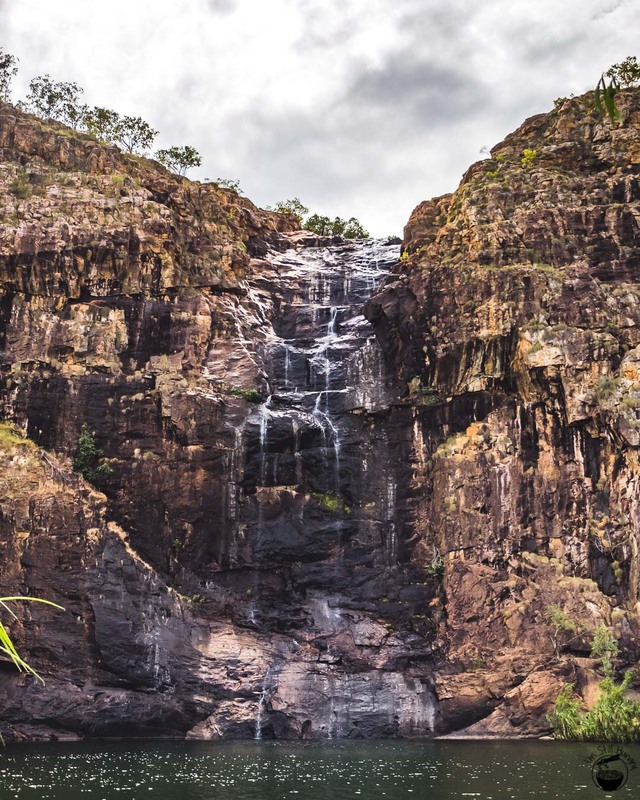 Unfortunately, dry season is also when Kakadu’s network of waterfalls are at their driest. 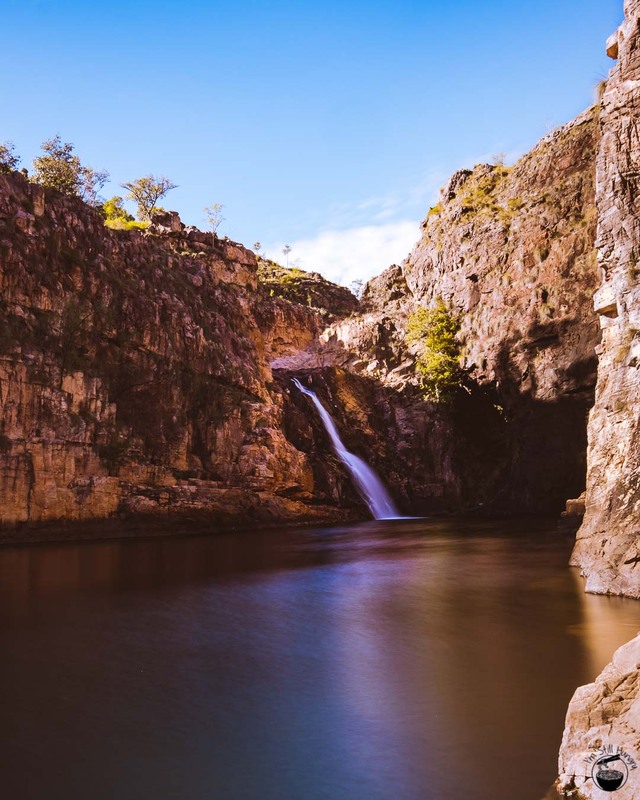 In fact, Jim Jim Falls – Kakadu’s most famous and impressive – was closed during our trip. We missed its opening by just two weeks! I consoled myself by repeating the mantra ‘you can’t miss what you haven’t had’, all the while googling (with the patchy reception) images of the falls and feeling that sweet, sweet FOMO all the same. Turtle mode: when your accommodation is also your means of transport. Wicked Campers appeared to offer the cheapest prices around, so we went with them. The benefit of turtle mode is that it opens up possibilities resorts and hotels simply can’t match. There were definitely caveats: I definitely didn’t sleep as well; I had a rather intimate relationship with insects and their goddamn mandibles; and in what might be the most shocking thing I’ve ever done: I de-prioritised food for the sake of sightseeing as much as possible. 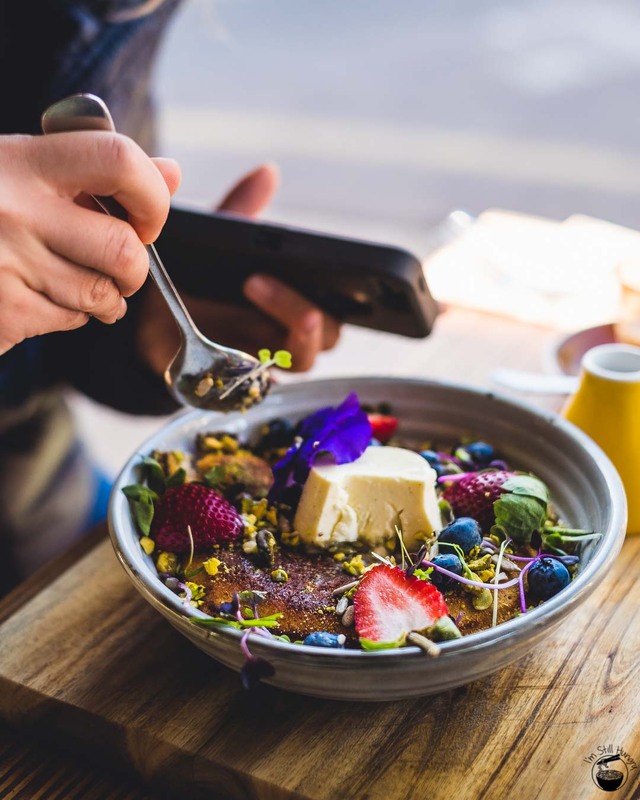 While we did make an effort to visit local cafes and restaurants where possible; time, logistical and geographical constraints meant that my nutrition came more often from protein shakes over berry milkshakes, and granola bars over actual granola. 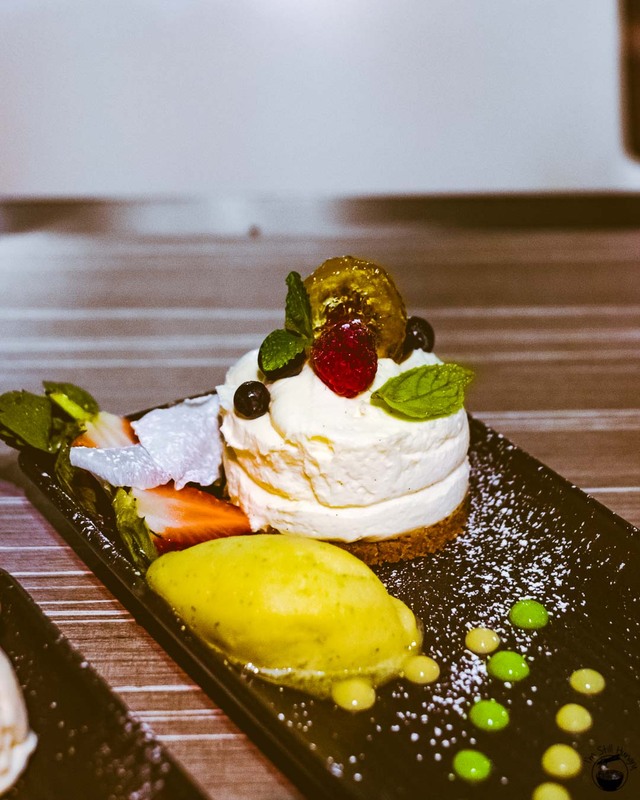 Thus this post only covers three cafes we visited while in Darwin – don’t expect haute cuisine in the outback. The two don’t make good bedfellows. 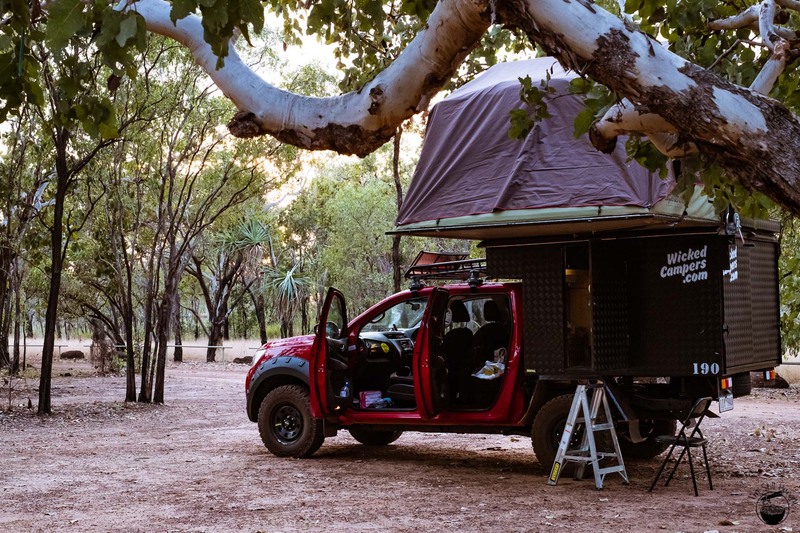 I definitely do not claim that it’s impossible to explore the Northern Territory, eat and stay at nice accommodation at the same. It certainly is – the password is ‘resorts’. 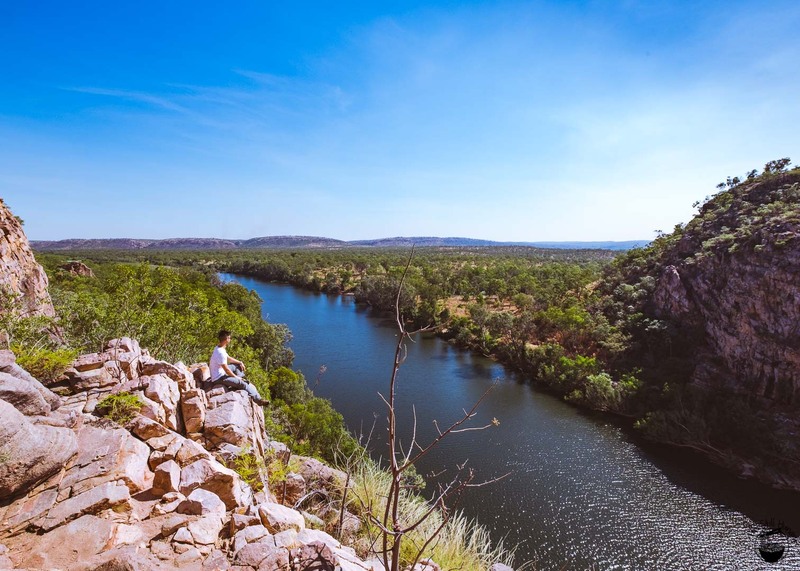 For that particular way to experience the Northern Territory, with a greater focus on food and accommodation, check out my homie Natalie Sum’s write-up (sponsored by Tourism NT) here. Darn it, shoulda brought marshmallows. 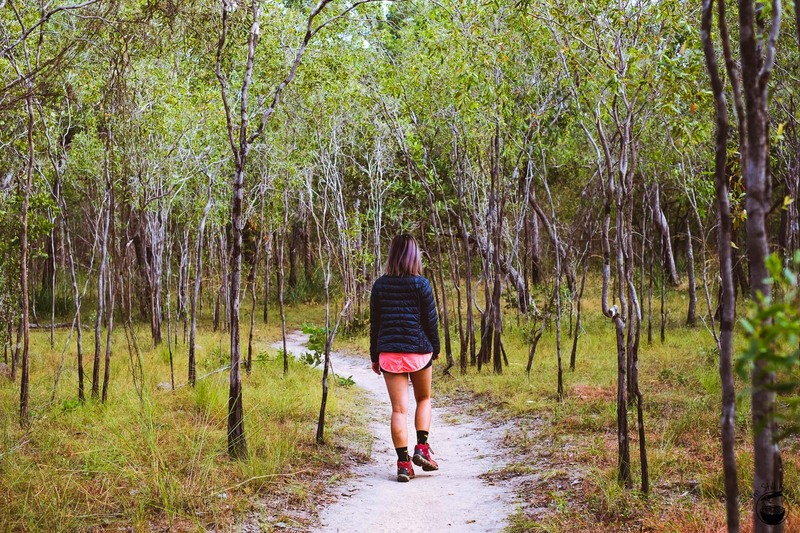 Water, sunscreen, plenty of food, insect repellent, and appropriate footwear if hiking. Sounds obvious, but if I had a dollar for every time I saw someone hiking in flip flops, I could probably buy them a pair of proper hiking boots. Also make sure to pre-purchase permits for the national parks. Entry isn’t free! 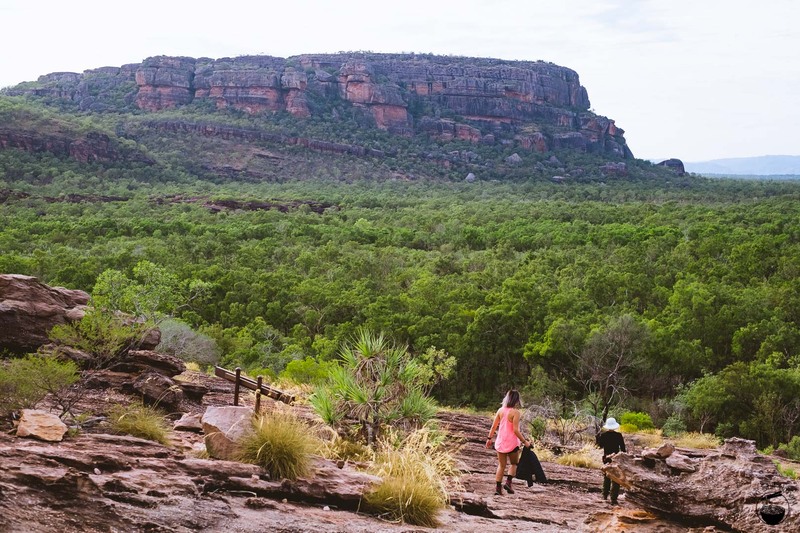 Due to its size and the sheer number of sightseeing spots/hikes, we spent most of our trip in Kakadu; you should too. 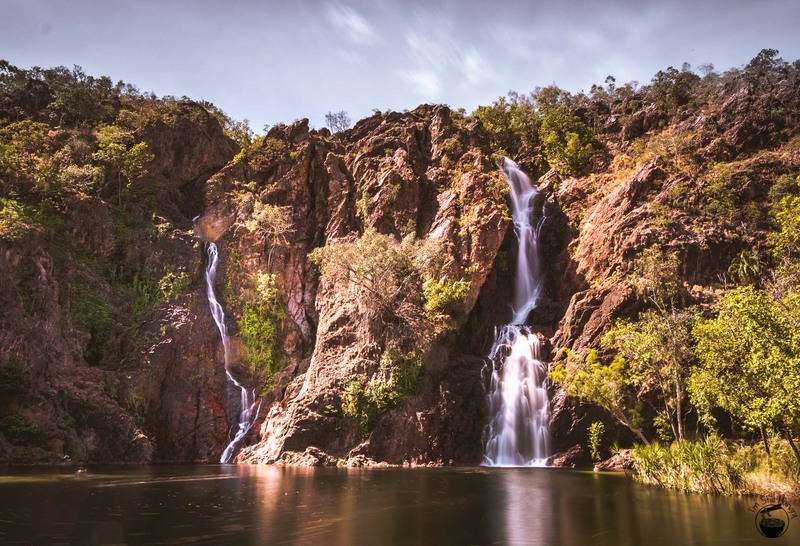 Unfortunately, I do have to note that we missed the open season for one of Kakadu’s best attractions: Jim Jim Falls. If you are intending to visit, make sure you get your timing right! If I had one regret with the trip, it would be this. 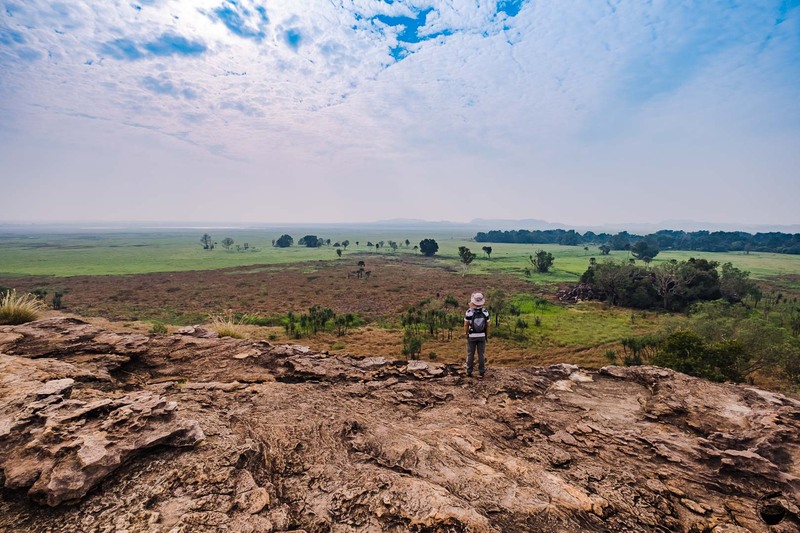 You might not have heard of Ubirr, but you’ve likely have seen it. The sunset view from the top is prominently showcased in just about every wall-sized Tourism NT advertisement in airports around Australia. 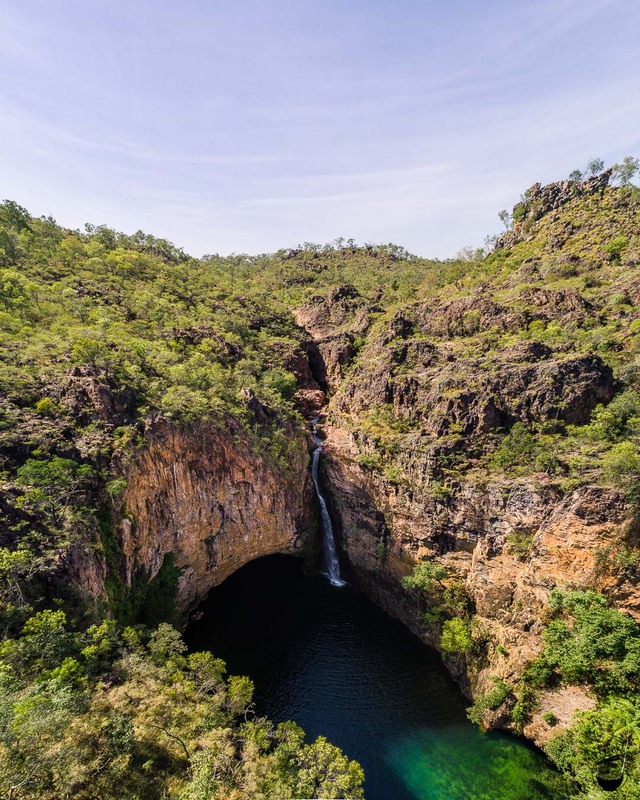 It’s also a site with significant cultural importance to the Aboriginal people, with numerous wall & cave paintings that date back many millennia. 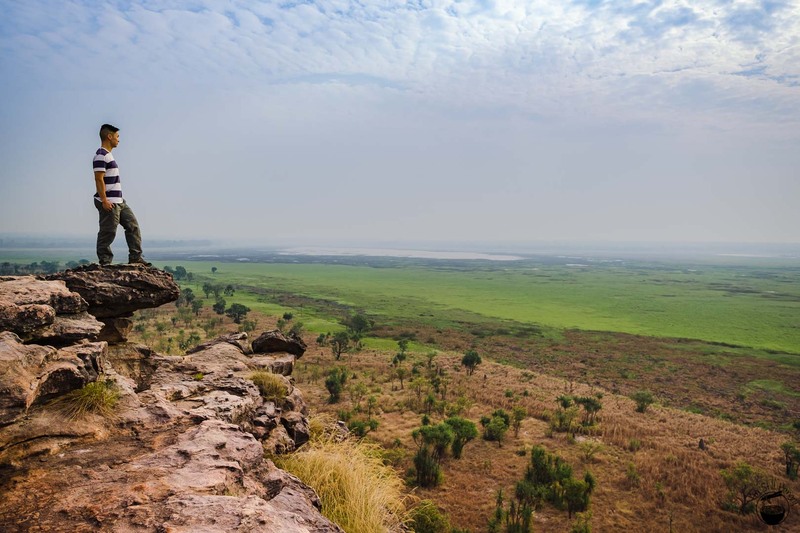 Indeed, Kakadu National Park considers Ubirr an ‘outdoor art gallery’, so great respect commensurate to the beauty and cultural heritage of the area must be shown. The Bardedjilidji Walk contains many of these artworks, for those inclined. Sometimes, being on the landmark means you can’t actually see it. 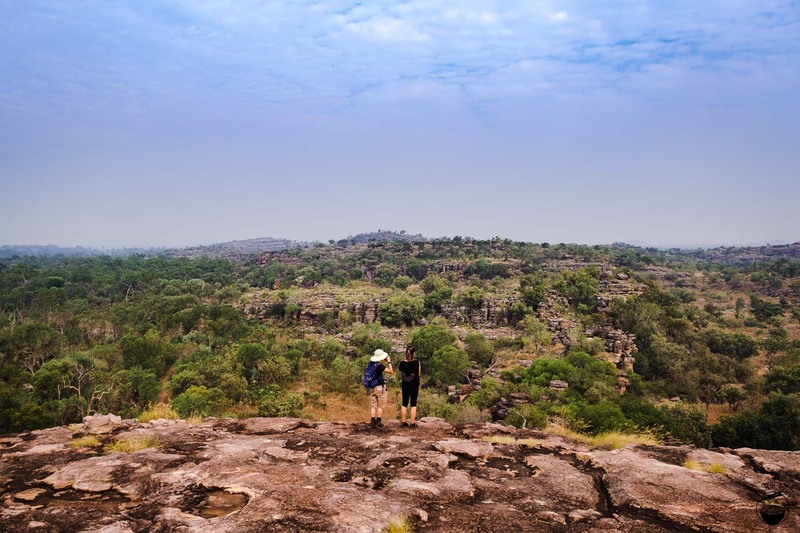 Nourlangie Rock (AKA Burrunggui) is a large sandstone formation that needs to be admired from afar. 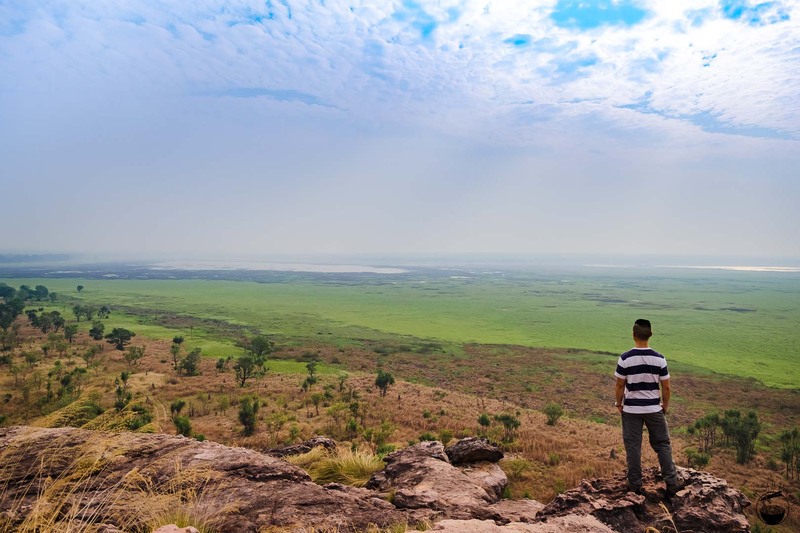 The Nawurlandja walk is the ticket to that view. 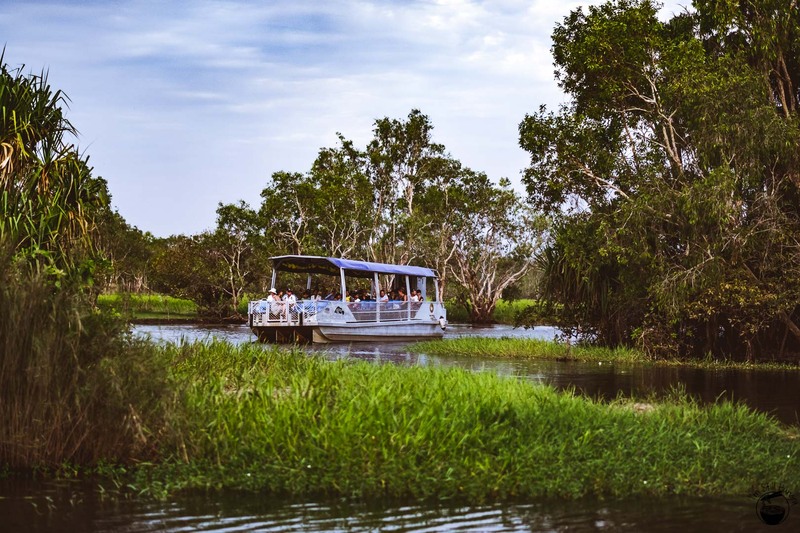 As it was close by, we also took a stroll down the Anbangbang Billabong Track, which affords a first taster of Kakadu’s wetlands. 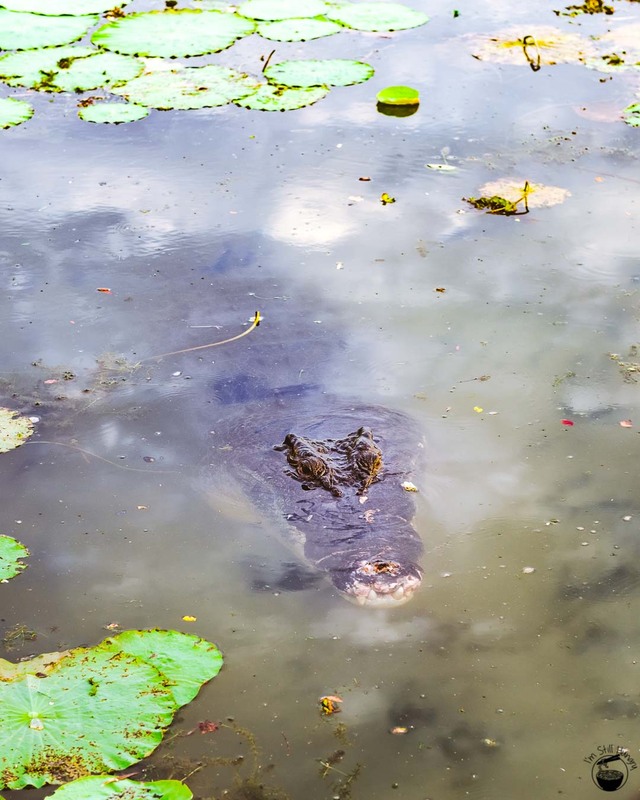 Crocodiles are commonly seen on this track – so keep your wits about you. Unfortunately, we didn’t see any (I guess most people would consider themselves lucky to not get eaten by an crocodile, but pfshhhhhhhht, I say). Gunlom Waterfall – bro, do you even get wet? 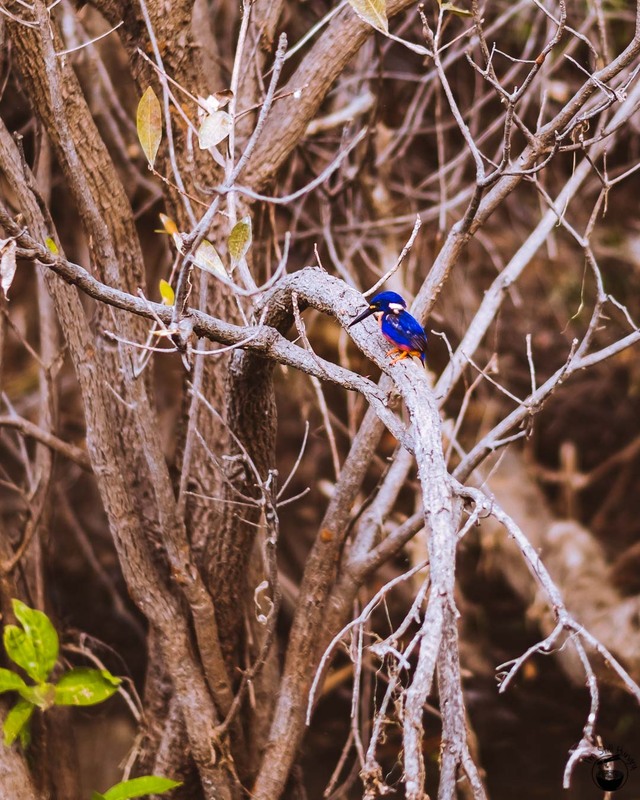 I’m not really a ‘take a slow boat down the river and see if you can spot some birds’ kind of guy, but this was a welcome respite after days of hiking in the Northern Territory’s infamous dry heat. 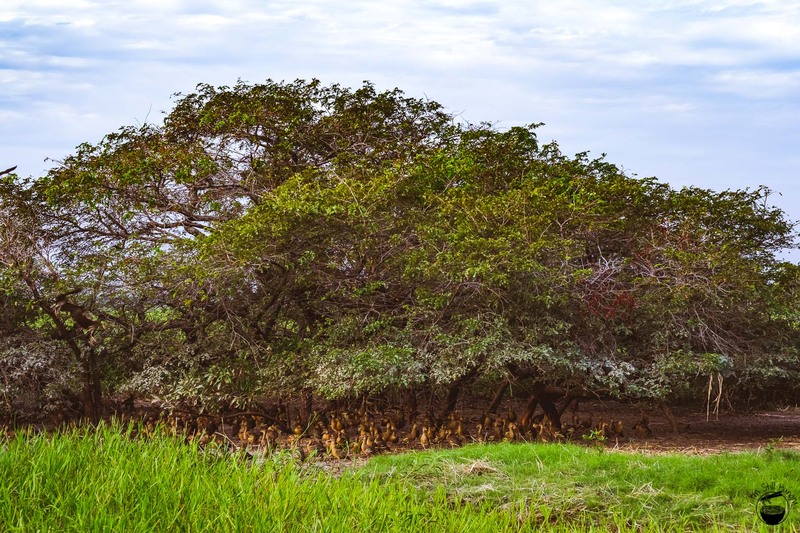 Besides, the surreal environment we were cruising through, where the only sound were that of chirping birds and the swish of animals in water was almost dreamlike; more captivating than I could have imagined. It’s almost fantastical how there can be so much water (and thus, life) in what is such an ostensibly desolate place. 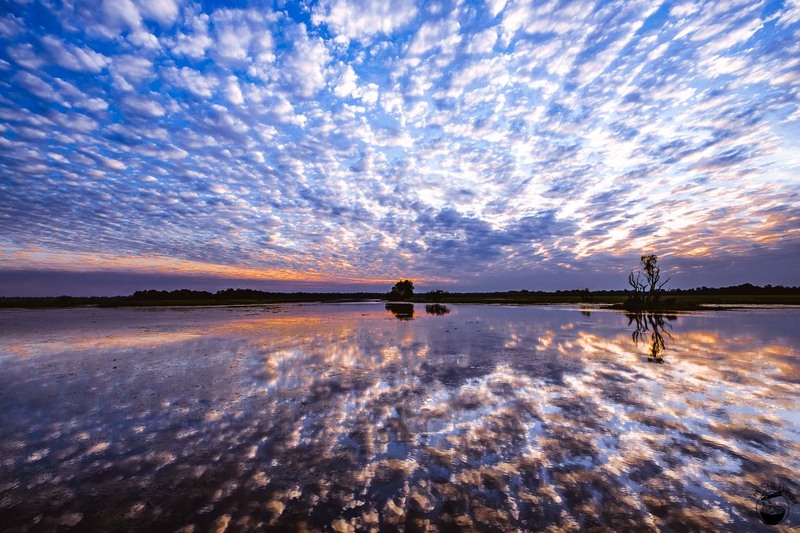 The wetlands will dispel any remaining notions of the Northern Territory being a desert. 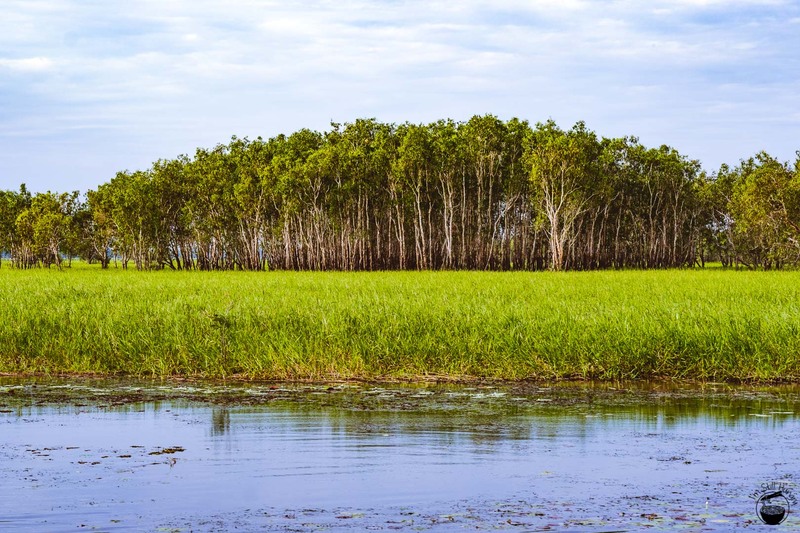 In wet season, the water rises so much that the trunks of all the trees in the background become submerged. With very few visitors, Maguk Waterfall is a rare find. Arrive early in the morning and you can have this hidden gem of a rock pool all to yourself. 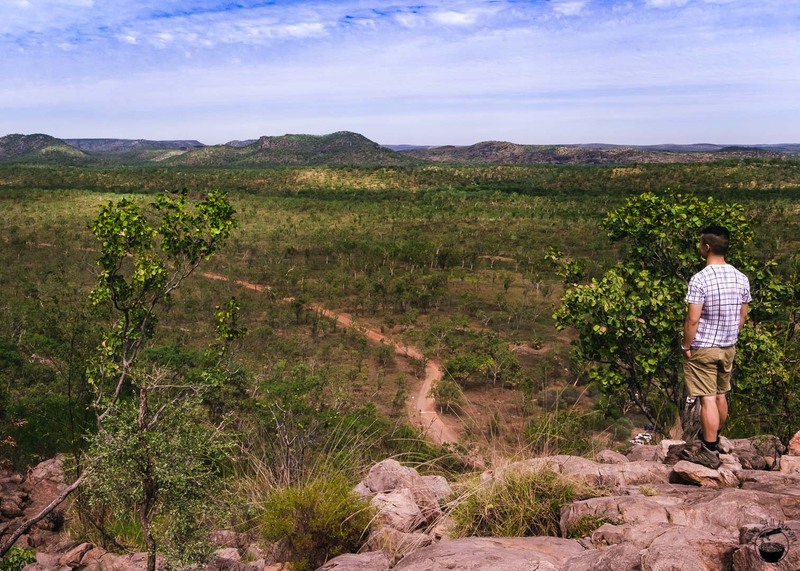 Also in the area is Bukbukluk Lookout, an easy walk which afforded a view of Kakadu’s southern hills & ridges. 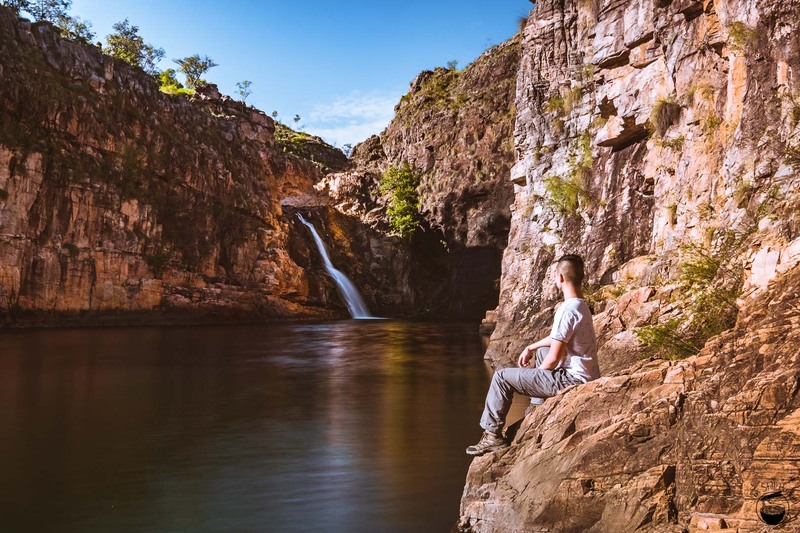 Maguk was one of my favourite walks in Kakadu, don’t miss this one! 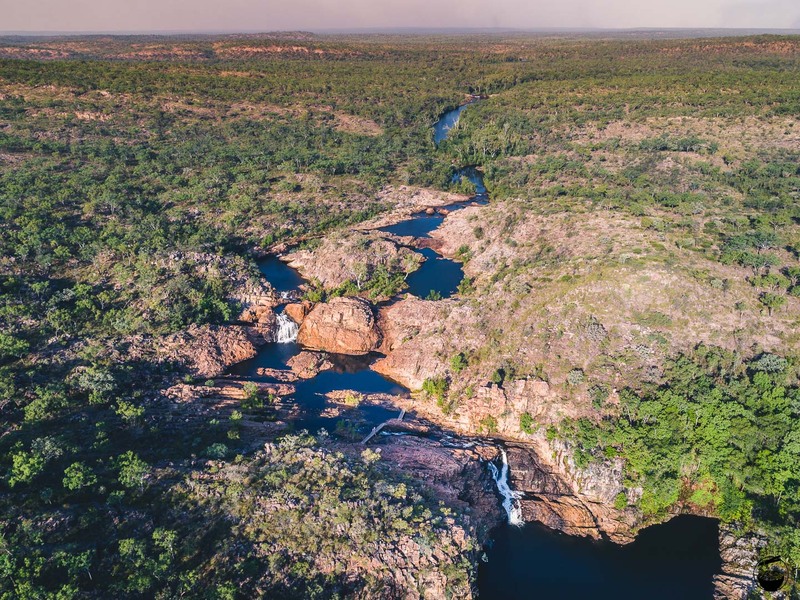 Nitmiluk National Park may be a mere fraction of Kakadu National Park, but it makes up for it with seriously impressive sights and arguably more interesting terrain than Kakadu. 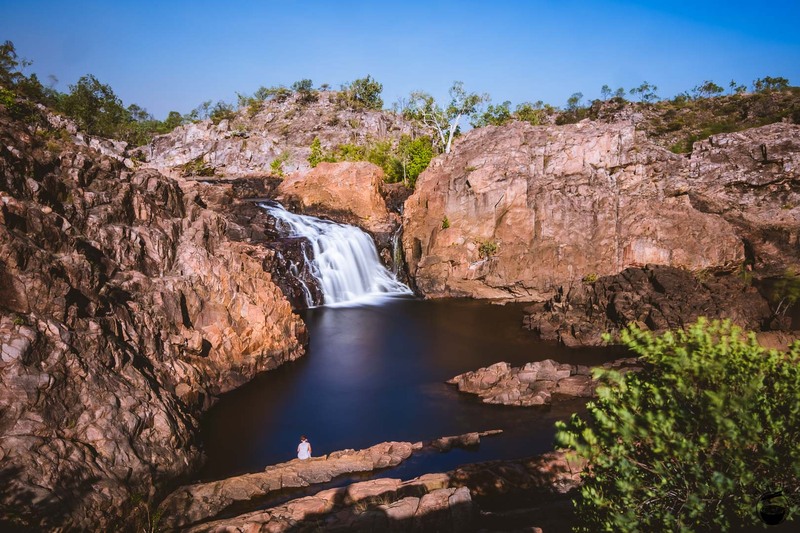 We only had the equivalent of one full day to spend here – definitely not my luck to be so transient in Nitmiluk – but I like to think we made the most of it. 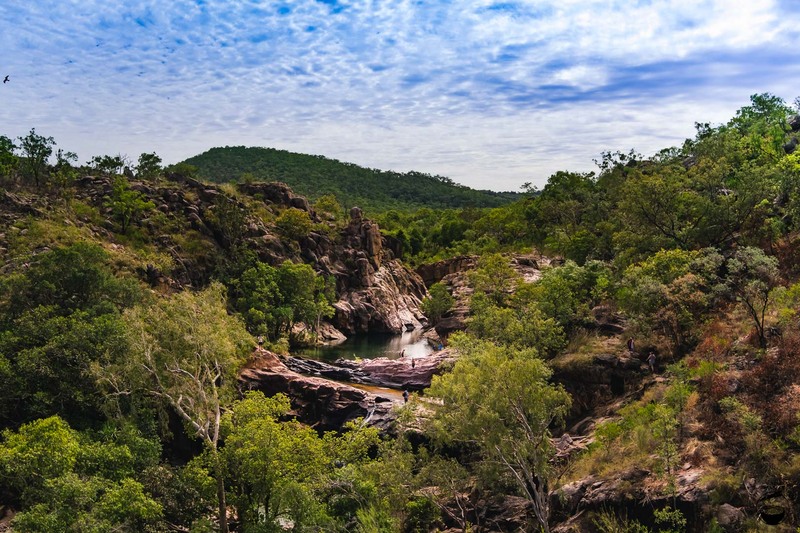 Katherine Gorge is the place to visit inside Nitmiluk National Park. In fact, I would have to question your plans if they don’t include the gorge. Extremely touristy (comes with the territory), travelers: beware of human wildlife. 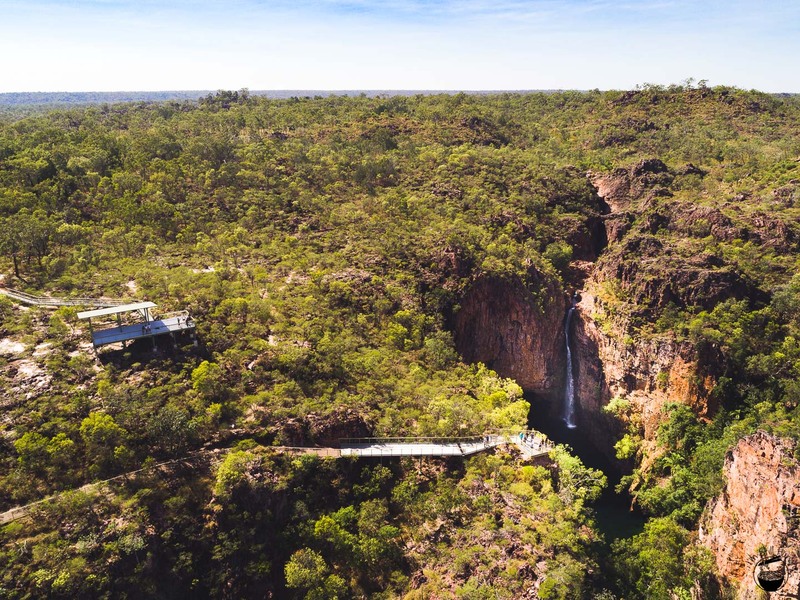 A short hike to the gorge lookout will assist with escaping most other tourists, and a river cruise option is available for a more relaxing way to take in the gorge, or if you have *cough cough* ‘bad knees’. 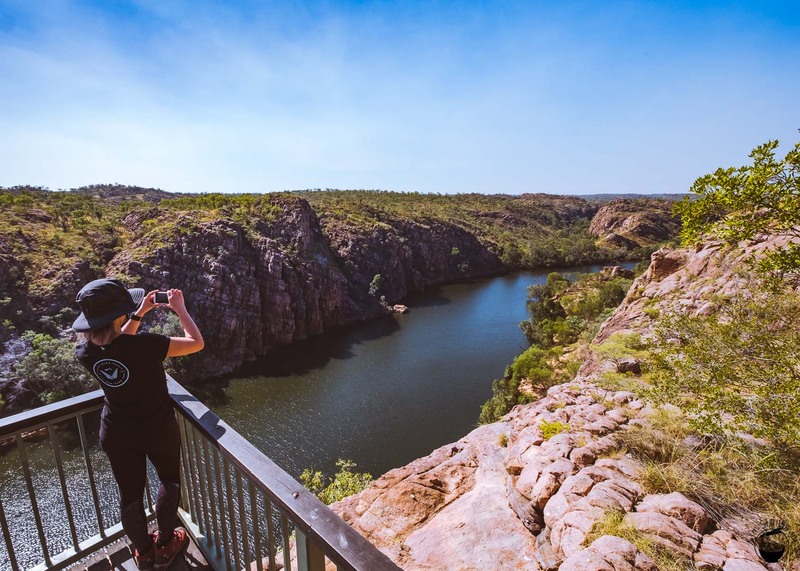 If Katherine Gorge is the tourist destination everyone must visit at Nitmiluk, then Edith Falls is…also a tourist-y destination everyone must visit. 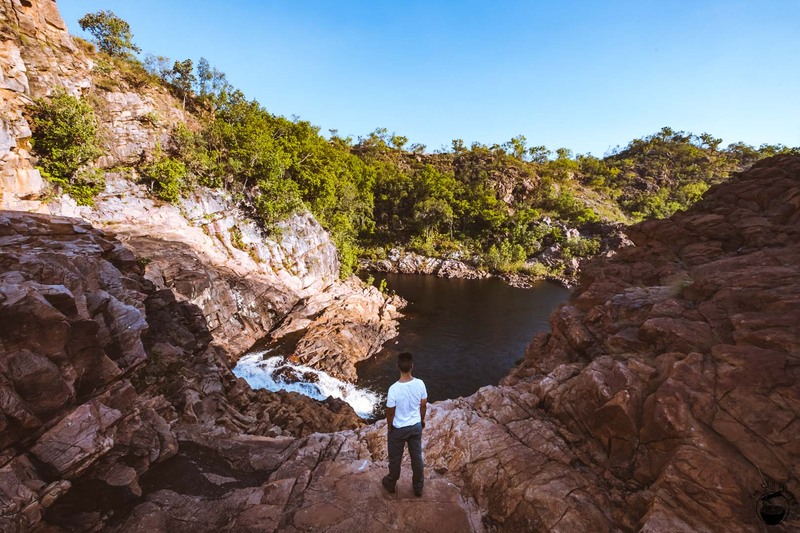 Dang, you just can’t escape the people..
That said, my most enjoyable experience at Nitmiluk National Park was at Edith Falls. It’s actually a series of falls, with an impressive flow rate even during dry season. Don’t be fooled by the first photo below – there were quite a few swimmers milling about; props to the lone girl who managed to stay still for a multi-minute exposure! 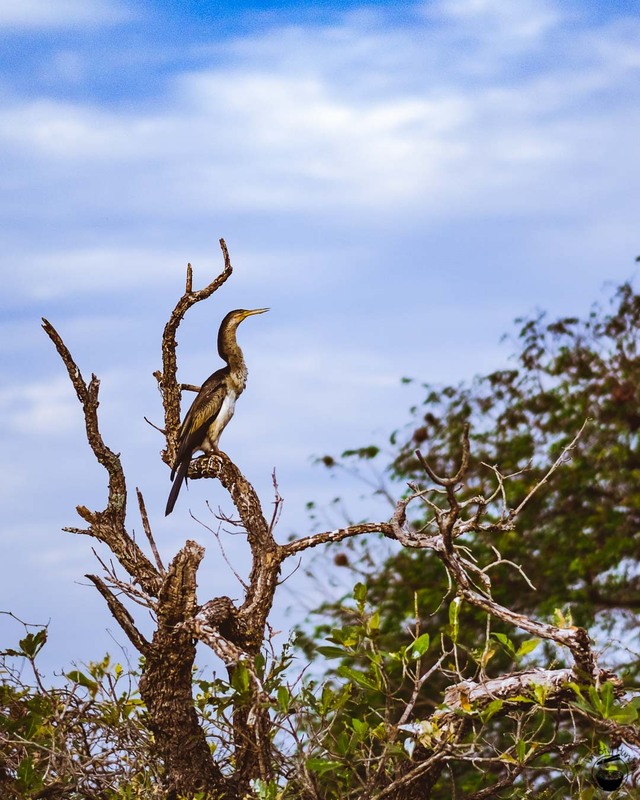 Our time in Nitmiluk National Park was like the park itself – short and sweet; however, our final stop – Litchfield National Park – was waiting! 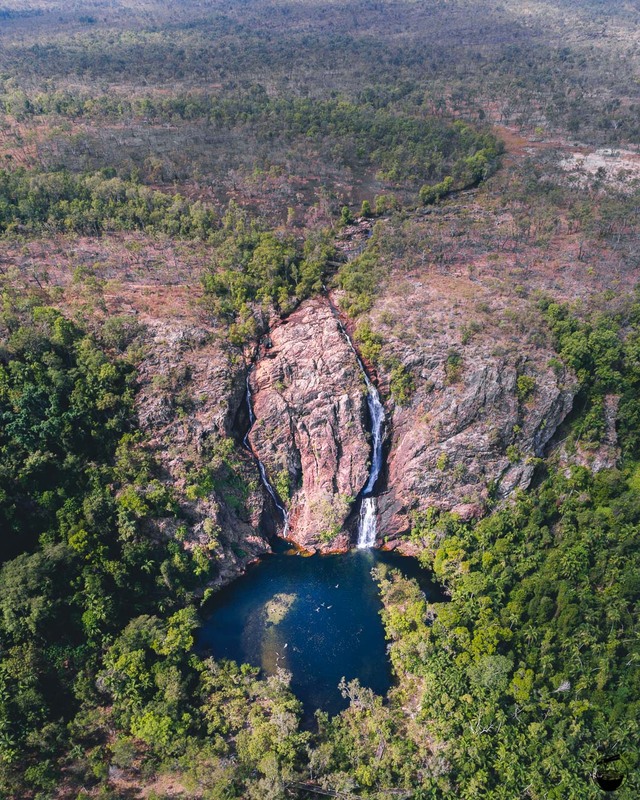 Litchfield is less than one-tenth the size of Kakadu, yet somehow, manages to cram in just as many worthy attractions. In fact, I daresay I had the best time in Litchfield. Take a look at the photos and tell me if you agree! Most national parks have a sign which helpfully tells you that you’re driving into it. Litchfield? 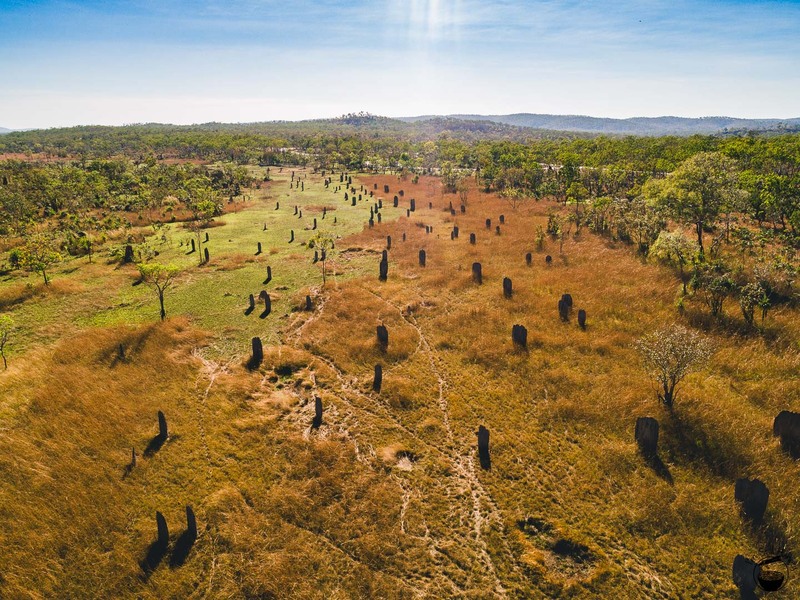 How about a gigantic termite mound instead? 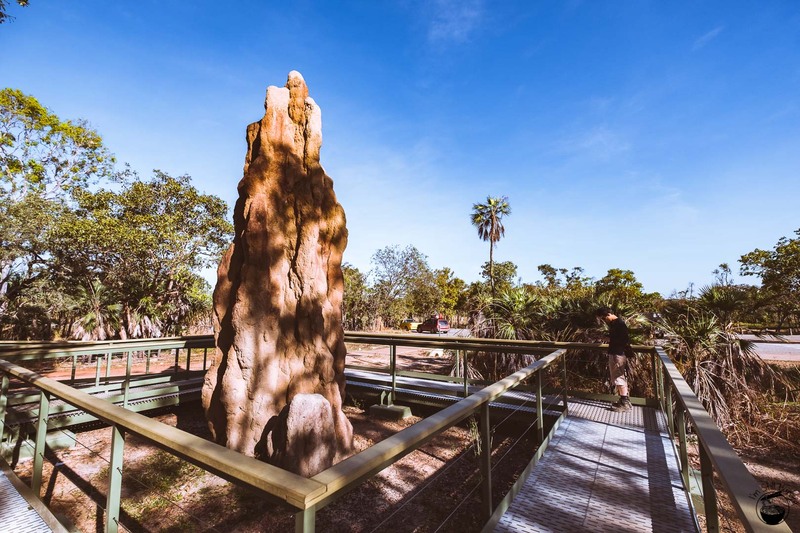 Widely considered a pest (om nom nom delicious houses mmm), termites play an important role in the outback’s ecosystem in serving as a food source for other wildlife, as well as soil regeneration from all the nests. Litchfield’s Magnetic Termite Mounds is where we were able to see a scarily large number of these mounds in one place. 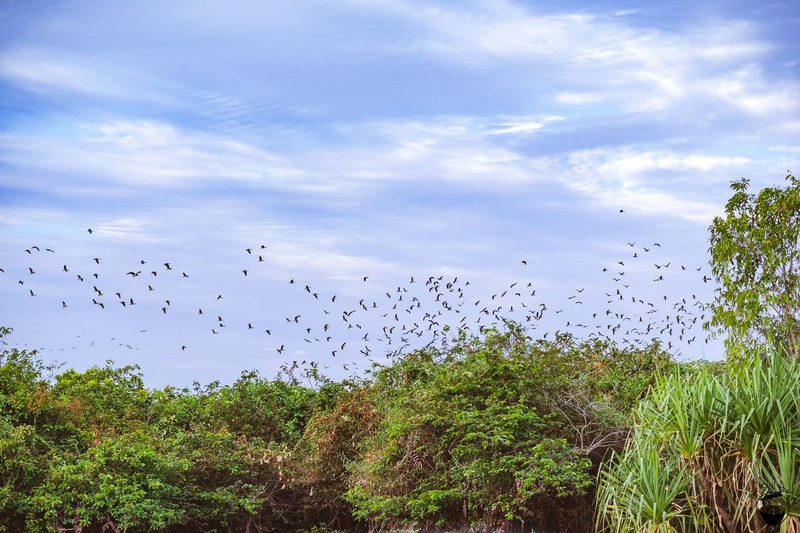 As someone who’s never seen one termite mound, let alone hundreds, you’d think the ick factor would be going off the charts. In actuality, I wasn’t able to see any actual termites in the mounds. Guess even they have their off days. 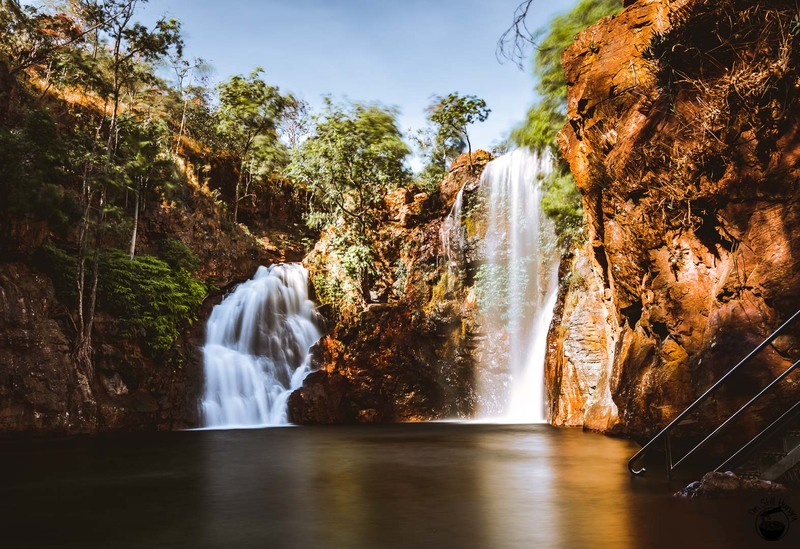 Litchfield has no shortage of waterfalls in which it is possible skinny dip (please don’t actually do this). If one’s too crowded, just move along. But perhaps start at Florence Falls, one of the prettier waterfalls on the trip. I had to climb down around 250 steps to get to the bottom, but totally worth it. At least, until I had to climb back up those stairs. Ah, that beautiful quad burn. Have you done your lunges today? Tolmer Falls – note how tall this fall is! With a beautiful twin-waterfall setup (the right-hand fall nearly as tall as Tolmer Falls), I begrudgingly have to admit that the herd of people at Wangi Falls is well-deserved. It’s definitely one of the prettiest, and its large plunge pool provides ample liquid-based cooling. The fact that it’s a 3min walk from the car park without any elevation is also a draw card. 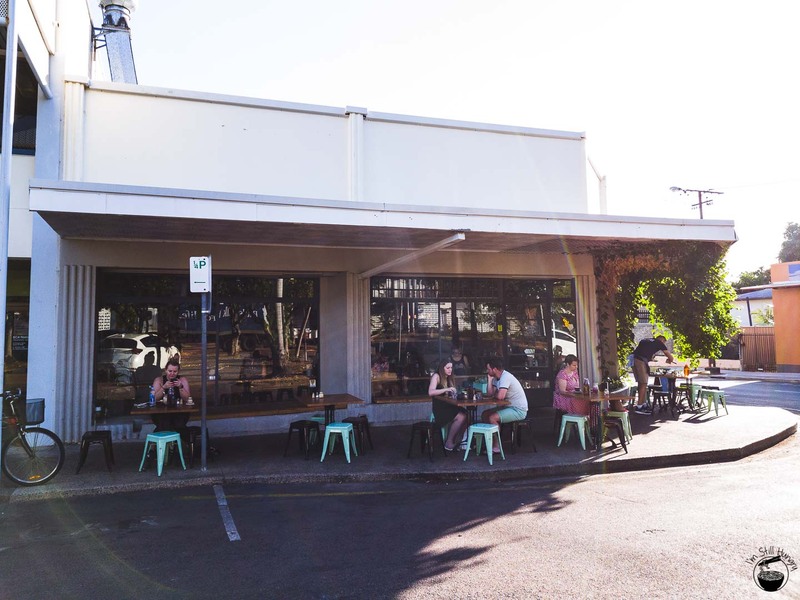 With a much smaller population than Sydney, it’s understandable that Darwin’s cafe scene is proportionally minute, just as it is understandable to not expect a similar level of quality. 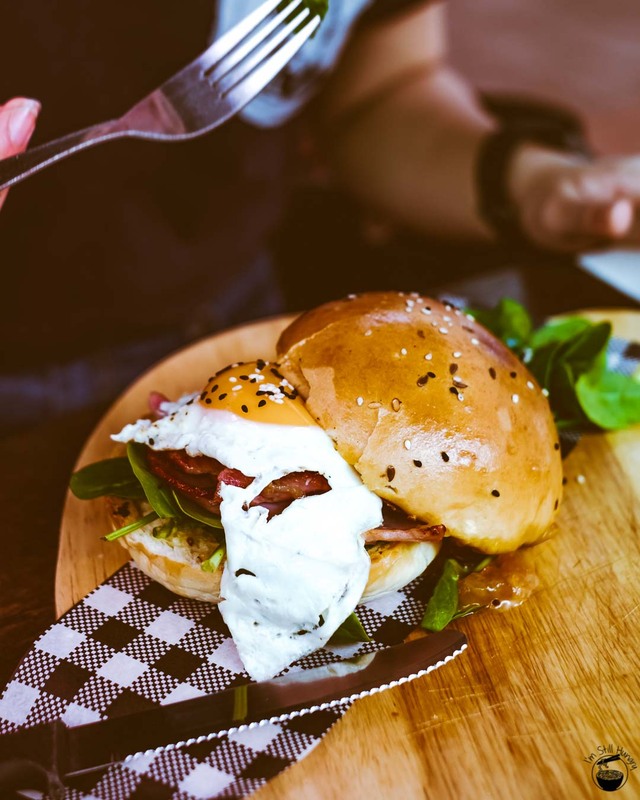 We ate at four noteworthy locations – as well as McDonald’s (sorry, don’t have photos of the fourth location…or McDonald’s). Sometimes you gotta do what you gotta do – you have to admit nothing comes close to the consistency and ubiquity of a McD. 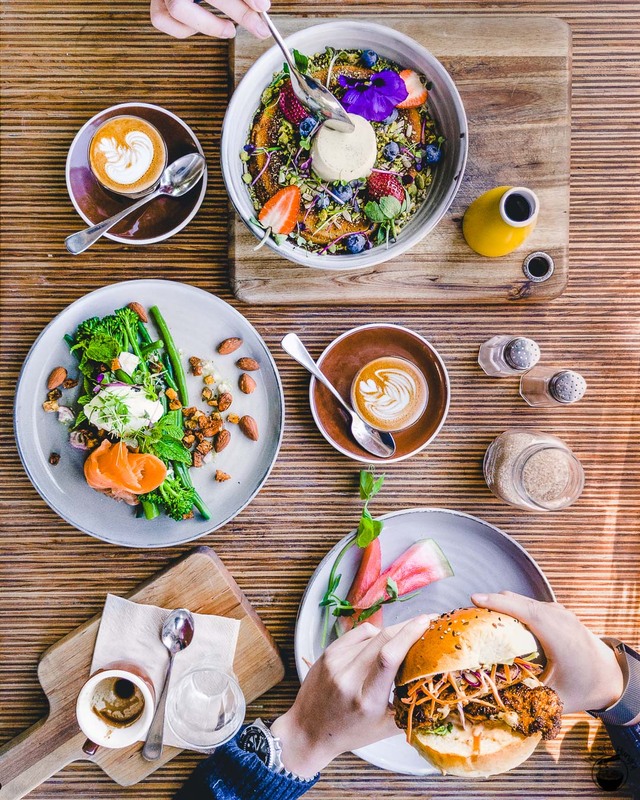 With a well-rounded menu and proper Campos coffee, Laneway Cafe needs to be the first and foremost on your list. The go-to pick? The panna cotta hotcakes – wibble, wobble (panna), soft & gentle (hotcakes). 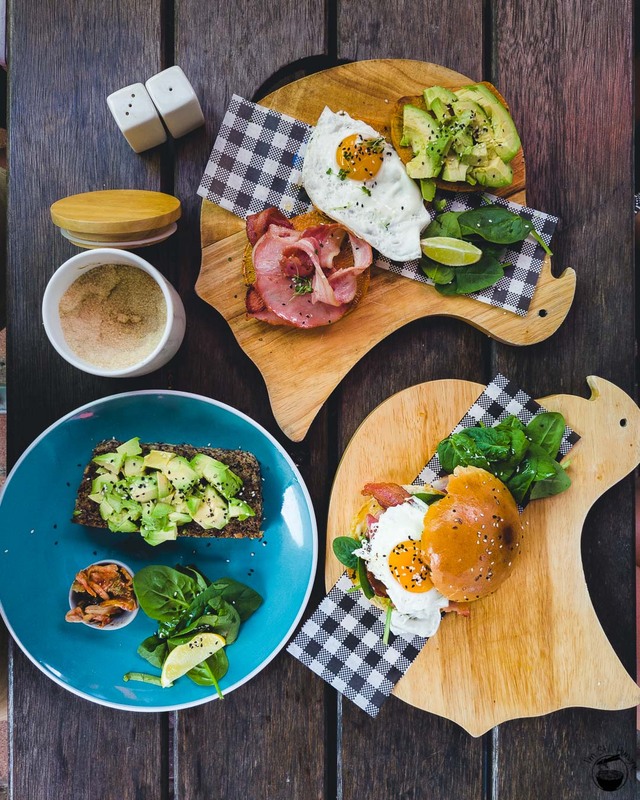 A health-focused cafe, you won’t be eating any birds but likely the bush instead. Four Birds is ‘too’ healthy for my liking, with the dishes a little on the bland side, but this the place for those watching what they eat. 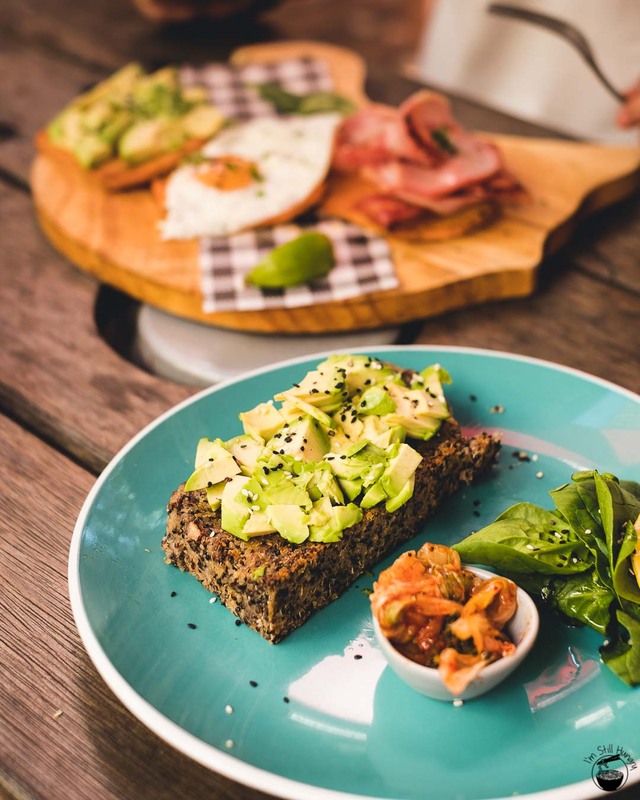 Avo on protein bread…only once. 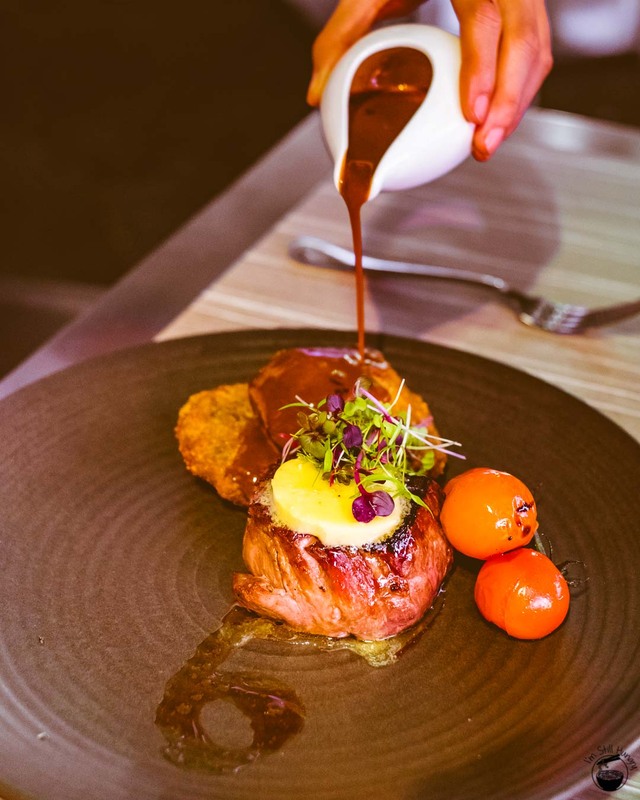 A great dining experience on the trip, Char Restaurant lives up to its name in applying heat to chunks of meat. 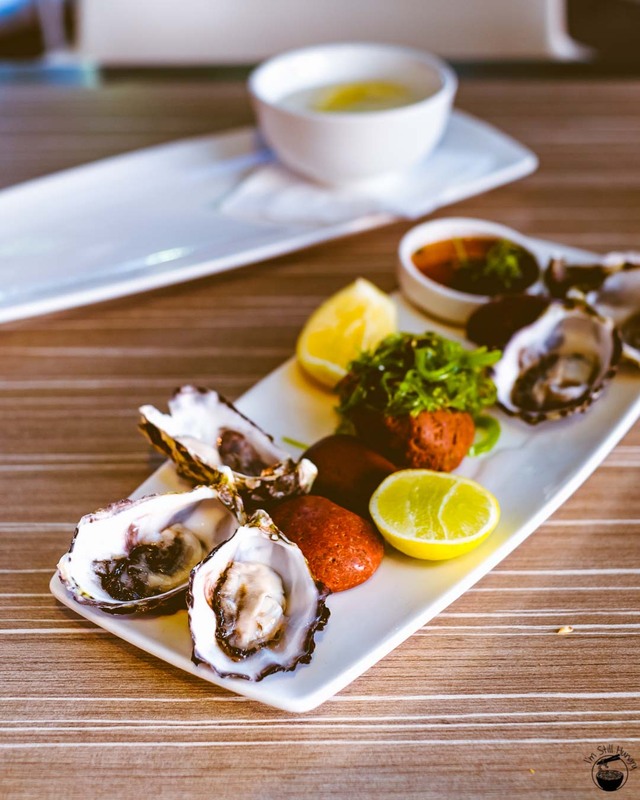 I had an excellent eye fillet here, with the oysters and desserts (cheesecake & creme brulee) never lagging too far behind in the prequel & sequel stakes. 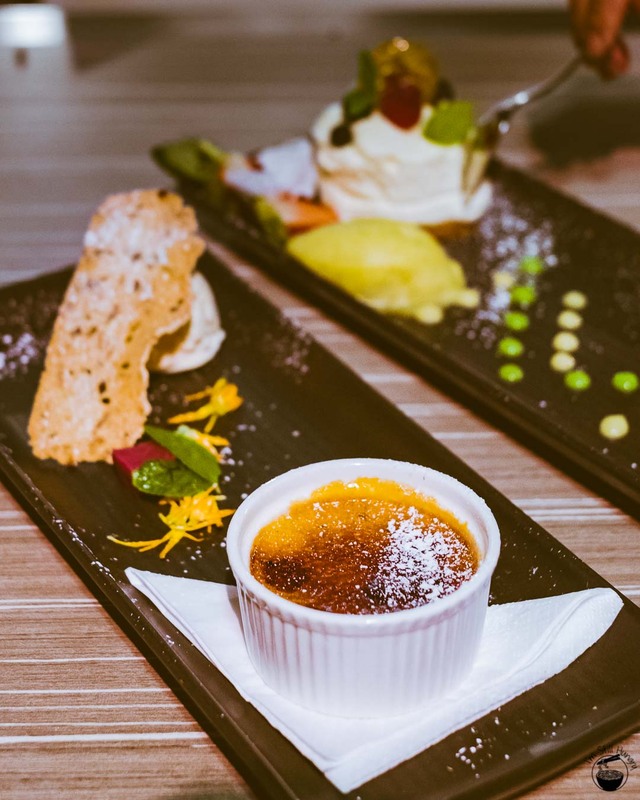 If you’ve got some time in Darwin, I would definitely recommend checking out Laneway and Char. For the record, I also recommend checking out Hanuman’s Indian restaurant. While I didn’t take any pictures here, it’s actually the best meal I had on the trip. 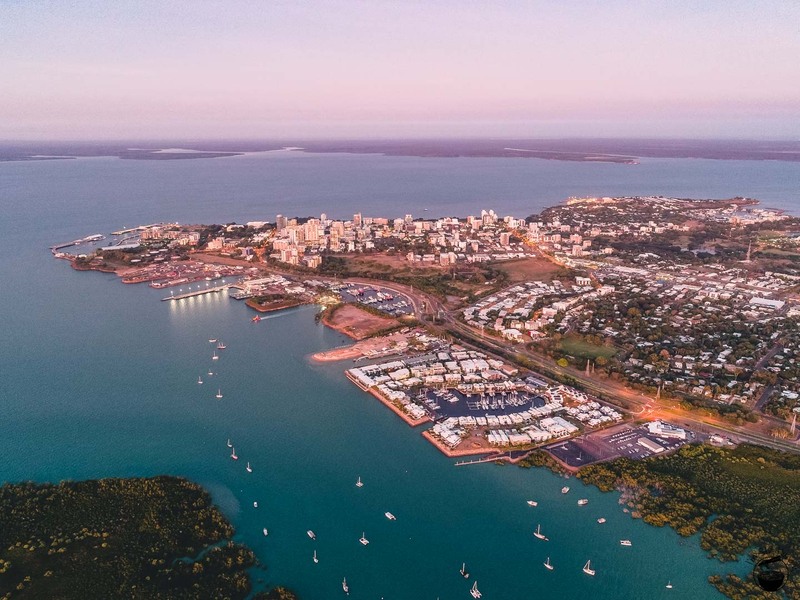 If you do go, be sure to get anything with barramundi in it – it’s local to the waters around Darwin so make the most of it! People like me who grew up in a concrete jungle are always taken aback once getting into a real jungle (or in this case, the desert outback). There is a peculiar, almost romantic sense of awe and respect for the austerity of the environment and the people that call it home. Not everyone falls in love with it, but everyone returns home with a greater understanding and appreciation of what Australia’s ‘heart’ is all about. Oh, and a million mosquito bites. It’s a whole other world. What are you waiting for? 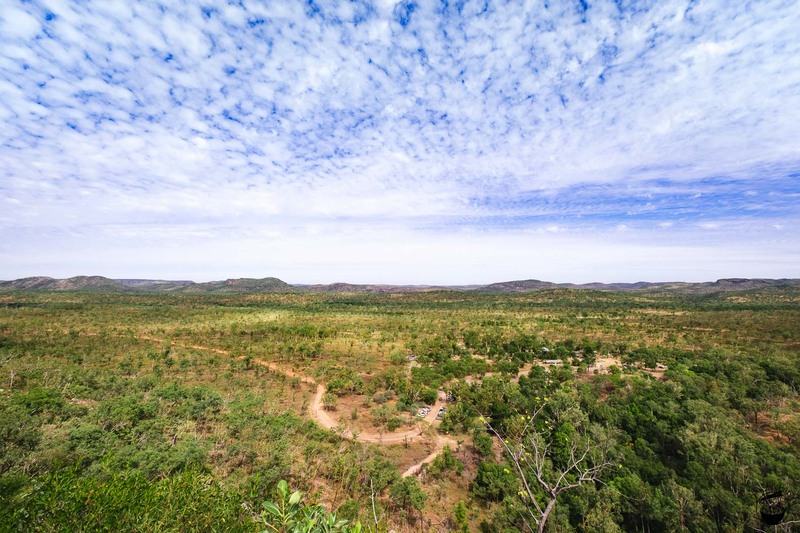 Put on the deet and get out into the outback! Nice Post!!! super place and the Falls photos is absolutely eye tracking; I’ve never seen them. Thanks for sharing!!! We are about to pretty much follow your same trip with the kids in Sept/Oct can’t wait. Gorgeous gorgeous post Michael!! Photos are stunning! Please tell me you made good use of those falls and went for a dip?